Fresh engine and leg services, anti fouling and some cockpit re-upholstery in July/August 2018 really freshens this boat up. My first impressions of this boat were good - she looks nice and white and her underside is looking great for another season. Once on board, the cockpit has had a good clean and there is some new upholstery. The interior seems fine and appears nice and clean. There's a decent seating area, an ample galley and comfortable sleeping for four. The engine and leg have recently been serviced. Overall, I'm impressed with this boat - after a period of storage ashore and now afloat again, this boat has had a good general seeing-to and she should make a couple or family a fabulous fast weekender. 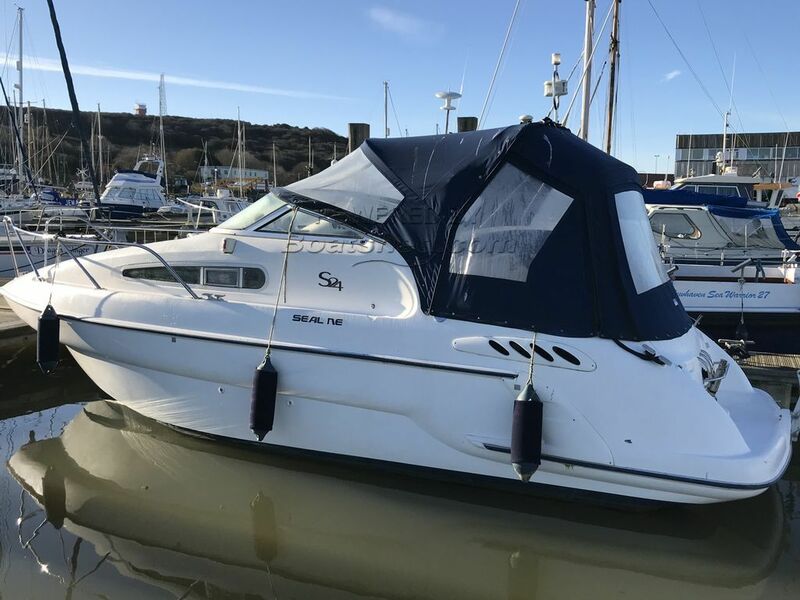 This Sealine S24 has been personally photographed and viewed by Tim Kingston of Boatshed Brighton. Click here for contact details.